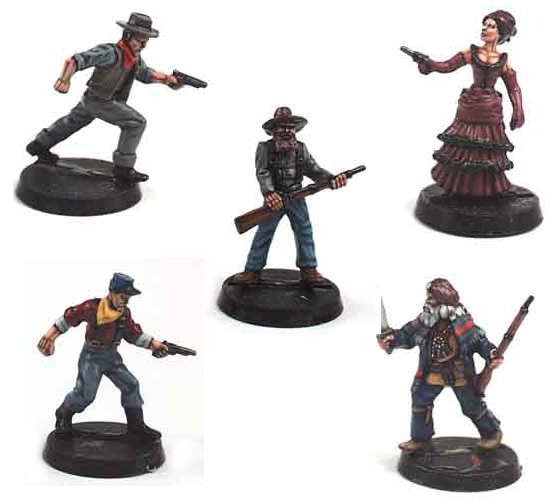 Our second set of solid pewter Wild West heroes. Even better detail and they come five to a set. They are already painted plus, each set comes with five free, special D20 dice.